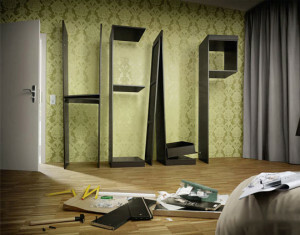 Warning, flat pack furniture can cause a slight headache! However Amor Removals have the remedy for you with our Banbury handyman service. Day in day out we are dismantling and assembling flat-pack furniture for our removals customers. We have now extended our DIY skills into our Banbury handyman service. Shelves, wardrobes, bookcases, sheds, beds – you name it we build it. Are you doing your house removal? Would you rather do without the hassle of dismantling and reassembly at the other end? Problem solved! We cover all areas of Oxfordshire, Warwickshire and Northamptonshire. We are very methodical when dismantling and assembling flat-pack furniture. Our handyman ensures that every single component is labelled where it came from and is fixed back securely. Feeling like you have a screw loose… let our Banbury handyman take that hassle away! Our handyman team have the knowledge, skills and many years of experience in all practical matters, which we are now offering to customers who want to take away the hassle of flat pack furniture. Please contact us to discuss any item you want constructing, we can even collect it from the store for you.